The financial sector has been making bold bets on the digital revolution. For this event, we bring together the brightest and best fintech professionals from universities and the industry for an afternoon of thoughtful discussions, knowledge sharing, and networking. This session will cover both technical updates and market trends. Come join us and stay ahead of the competition! Beng Chin is a Distinguished Professor of Computer Science, NGS faculty member and Director of Smart Systems Institute (SSI@NUS) at the National University of Singapore (NUS), an adjunct Chang Jiang Professor at Zhejiang University, China, and the director of NUS AI Innovation and Commercialization Centre at Suzhou, China. 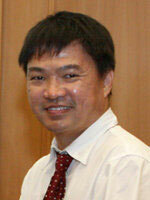 He obtained his BSc (1st Class Honours) and PhD from Monash University, Australia, in 1985 and 1989 respectively. Beng Chin’s research interests include database systems, distributed and blockchain systems, machine learning and large-scale analytics, in the aspects of system architectures, performance issues, security, accuracy and correctness. He works closely with the industry (eg. NUHS, Jurong Health, Tan Tok Seng Hospital, Singapore General Hospital, KK Hospital on healthcare analytics and prediabetes prevention), and exploits IT for disruption and innovation in various application domains, such as healthcare, finance and smart citities. He is a co-founder of yzBigData (2012) for Big Data Management and analytics, and Shentilium Technologies (2016) for AI- and data-driven Financial data analytics, Hangzhou MZH Technologies for Healthcare, and MediLot Technologies (2018) for blockchain based healthcare data management and analytics. He also serves as an advisor of a RegTech company, Cynopsis Solutions and its blockchain KYC traceto.io ICO, Huobi for its Huobi Chain, and as a non-executive and independent director of ComfortDelgro and a member of Hangzhou Government AI Development Committee (AI TOP 30).